One channel video projection with ambient sound. 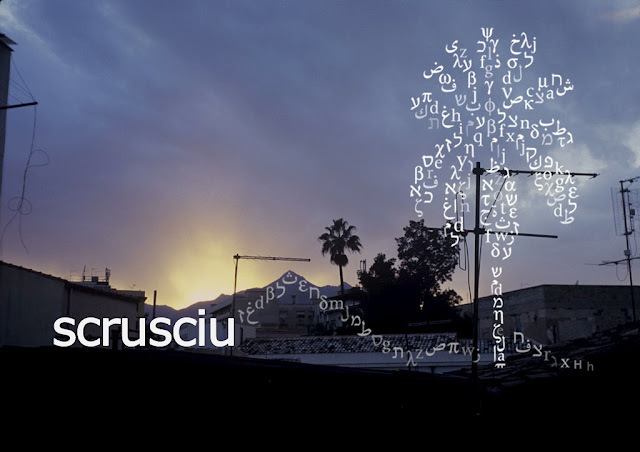 Scrusciu, in the Sicilian dialect, the noise of the elements, wind or rain. -“Φοίνικας” (palm), the palm tree, the main character. -“Αόρατος” (invisible), the invisible depth of things, a tortuous journey from the visible to the invisible, the space where the ancient Greeks posited knowledge and death. -“Πάνορμος” (panormos), the “all-port city”, the original name of Palermo, panorama, its memory. -“Αέρας” (wind), the sirocco, an engine for visions and obsessions. All 4 elements orchestrate the “plot” of this movie. and listen to the sound of the sirocco, flapping against you. Di fronte a te le rovine. Ascolta il sibilo dello scirocco. “Scrusciu” che attraversa il tuo corpo.